When you have a business, you must consistently have a product that is good, a price that is competitive, and the right people to sell it, deliver it, and service it. When you have a business, you must consistently have a product that is good, a price that is competitive, and the right people to sell it, deliver it, and service it. In order to accomplish this, everyone has to know their job, perform it to certain standards that have been set by management, and all have the same goals. This can’t be done, unless they have all read the same set of standards, and know to follow a specific, consistent process, especially when they deal with customers. So you’ve got the product, you’ve hired the people to sell it, and they have the technology to understand it and explain to prospective buyers. There is still a set process that must be followed to succeed in the sale and customer service that ensures a repeating customer. A process was set in motion the moment you chose a product that you believed would sell to a specific group in the area of your store. Some set basis was used to determine prices, sales, how much to keep in stock, how to advertise, and what incentives to use. Another set of processes is used to handle the accounting of your business. Bills have to be paid on time, invoices and bills of lading checked and paid, taxes, salaries, commissions…all accounts both payable and receivable. Can you imagine the chaos if you didn’t implement specific processes for all to follow? All aspects of customer relations require processes that have been tried and worked, from generating leads to marketing, from estimating costs and giving quotes, to processing sales and handling inquiries. Processes are required to be able to determine shipping dates, delivery dates, installations, service and repair. You also need to know how to manage those processes. If they aren’t working well, they need to be altered and distributed to all employees so that a new method can be tried. It won’t succeed (or fail) conclusively unless all involved have followed the same process. By having set processes to follow, your people will be able to quote realistically to customers, follow up on them, handle customer service face to face or on the phone, and deal calmly and intelligently with complaints. Other benefits are that customers are more confident when they are treated consistently by all personnel, there are fewer delays, better all around communication and understanding, and a happier, less stressed and more motivated staff. 1,000 songs in your pocket. That one slogan helps explain how a computer company (aka Apple) transformed the music business and sold 300 million iPods in the process. People could now purchase their music online. Physical music stores became redundant. Online piracy was less of an issue. Lone songs were available at a fraction of the cost of whole albums. And hundreds of them could be transported on one portable device. Disruption of an industry doesn’t get much bigger than what Apple achieved. But how did they do it? How do some companies look at proud, old industries, and revolutionize them in line with their vision? Thankfully, you don’t have to be a Steve Jobs to make it happen. Anyone with the right know-how can do it. Keep reading to discover 7 tactical tips to disrupt an industry. Sometimes you need to make a splash, cause a fuss, and mix things up. Here’s how to do it in your industry of choice. Every market has problems they haven’t been able to solve. Then someone comes along, solves them, and voila, market disrupted. Take Amazon as a prime example. There wasn’t really anywhere to buy books online before Amazon. Book stores were struggling businesses, stuck in the dark ages. Then Bezos created an entire marketplace from buying them online. Now the company generates over $61 billion annually and has 97,000 employees. That’s the power of disruption you should be aiming for. Consider the problems in your industry and set about solving them. That’s easier said than done, right? Try taking a new approach to old problems. Why not look to make a splash in industries where you have no prior experience? Previous experience in totally different fields can be exceptionally helpful. For instance, it may take a biologist to solve a physics problem or vice versa. People usually say something can’t be done because they’ve been told as much. They’ve been reared on that belief and fulfill the prophecy accordingly. Someone new to the mix doesn’t have that negative mindset. They can see it clearly for what it is and set about fixing things. Oh, and yeh, solve the problem yourself. We’re too used to paying someone to provide solutions. But the nature of unsolvable problems is that there isn’t anyone to do it. Scratch your own itch instead. Need a company that’ll provide the requisite logistical support to succeed in your initial industry of focus? Create it. Make it happen, then use it to solve the first problem. Disruption of anything usually requires doing things differently. To disrupt a quiet classroom you make a noise. To disrupt an industry you do the same. Look at what’s happening and actively push against it. There will always be people and ‘experts’ with an opinion on your idea. You will probably be told you’re stupid, foolish, and absolutely incorrect in your approach. Take that as active fuel for your fire, as well as a clear sign you’re doing something right. People generally don’t enjoy someone upsetting their current way of life. They’ll get annoyed, stomp and moan and throw a tantrum, telling you you’re wrong. That’s good news. Keep doing what you’re doing. Speed is of the essence. And so it the amount of noise you make. Be a bull in a china shop when you enter your industry of choice. The metaphor of a bull is apt here. You need to be the business embodiment of one. Bulls don’t stop with an obstacle in their way. They don’t hesitate when they’re told they can’t do it. Instead, they charge and break things at every turn. They’re one step ahead and out of earshot of the naysayers before anyone can wonder what happened. Did someone say ‘déjà vu’? No, you’re not imagining things. We did include this above. And yes, it’s absolutely on purpose. What was your first thought when you saw this subheading for the second time? Did you feel uneasy? Did you think it was wrong, or just downright stupid? Good! We broke the goddamn rules. They get in the way and stop creativity in its tracks. That’s what you need to emulate as you set about disrupting your industries. Be crazy, and be creative. Be bold and break the mold. Here’s a quick tip for idea generation. Listen to the complaints of customers. What don’t they like? What do they wish they could do or see? What do they moan about? Go to forums, read reviews, listen to podcasts and watch videos online. There are little golden nuggets of information around every corner. Find out more about a product that’s addressed an issue and is disrupting an industry as you read. Who is the industry leader in your field? They may have ruled the roost for years. No-one else even tries to knock them off their pedestal. Until you came along. Remember, you’re a bull. Take aim and charge. Targeting a competitor is like going to war. It’s a risky business. Win, and glory is yours. You stake your claim and immediately disrupt the status quo. Lose, and you’ll be laughed at and relegated to the history books…until next time. Hyperbole aside, going into competition with an industry leader (with a competing product or service, etc) may be exactly what you need. It can help to raise awareness and cause a stir. Then it’s up to you to follow through. There you have it: 7 ways to disrupt an industry without an issue. Some of the biggest companies in the world established their names through disruption of an industry. Like an athlete applying a whole new technique to an event, these companies, cause a ruckus that works in their favor. This requires the ability to look at old problems with new eyes. It also requires the willingness to take a risk. Thankfully, with the right tactics, both are possible. Hopefully, the information here has provided the ideas and inspiration to start disrupting your industries without further ado. Did you like this piece? Click here to read all our posts about how to be innovative in business! Can Talking To Industry Outsiders Help You? Right now, there’s something of an obsession with the concept of “last mile” delivery in the logistics industry. Companies have largely solved the problem of getting costs down for 99 percent of the journey to the customer, thanks to a combination of giant trucks and ships, but the issue of expense for the last mile remains. Why? Last mile delivery is a little bit like bespoke manufacturing. Each customer lives at a different address, so you have to navigate your way to their home and unload the item manually. It pushes up costs, as single runs do in manufacturing, and means that delivery prices are much higher than they could be. A new generation of entrepreneurs wants to deal with the issue of last-mile delivery using technological methods. The goal is to bring down the cost of last-mile delivery by an order of magnitude, making e-commerce a more attractive option. One of the reasons that last mile delivery is expensive is because of the risks involved. When truck drivers have to take new routes, they are more likely to make mistakes. As this truck accident lawyer points out, more than one in ten accidents on the road involve a large vehicle. The search is on, therefore, for methods that will eliminate risk in the last mile of delivery, cutting insurance costs and making things safer for workers. The main innovation in this area right now is the delivery locker. Amazon already has a network of cabinets up and down the country where delivery drivers can deposit items for customers to collect at a later time. The way delivery lockers works are simple. Customers order the goods that they want from an online retailer and select deliver locker as the delivery option. The retailer then sends the products out through its logistics network and delivers them to the locker, alongside deliveries for other customers for that particular day. Customers then get a code in their email, telling them what they need to punch into the console on the locker display. 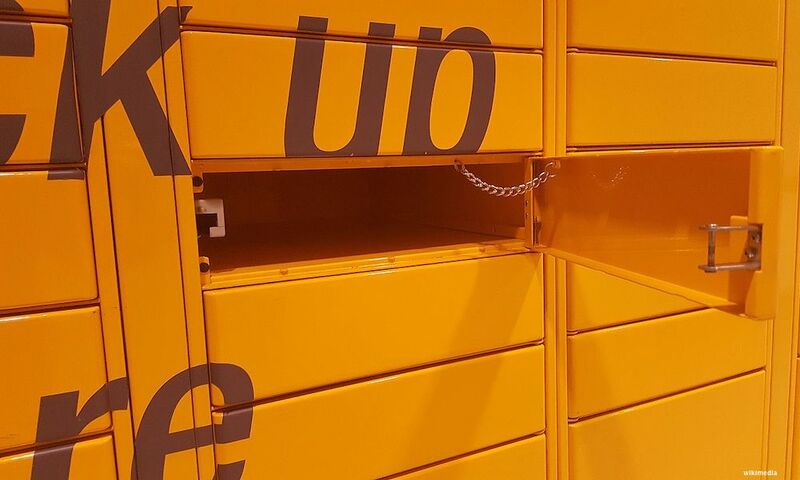 Online retailers place delivery lockers in locations that their customers frequent on a regular basis, including gyms, banks, and other locations. The idea is to avoid the last mile of delivery by incorporating delivery solutions into customers’ daily lives. It’s a smart idea and one the industry will be tracking closely. What else can businesses try to get the cost down? The second option is to use route optimization technology. It might sound simple in concept, but optimizing routes is a notoriously tricky mathematical problem. In fact, it’s so hard that traditional computers can’t do it. The problem is that when you have more than, say, twenty deliveries to make, there are so many route options that it is hard to find the combination that will be the quickest. What you really need is a quantum computer. But until they become available, companies are having to make do with heuristic solutions – and fortunately, they’re getting better at it. Is a Home Delivery Service the Next Step for Your Business? What if every team you manage could be your “A” team? For expanding businesses, the dream is to find the best possible employees. Unfortunately, it can be difficult to find the best people while overseeing a growing company. This is why many companies use recruiters to discover the very best talent. Unfortunately, many companies don’t know how to find a recruiter. If this sounds like you, keep reading to discover how to find and use a recruiter for your growing business! What Does a Recruiter Do? 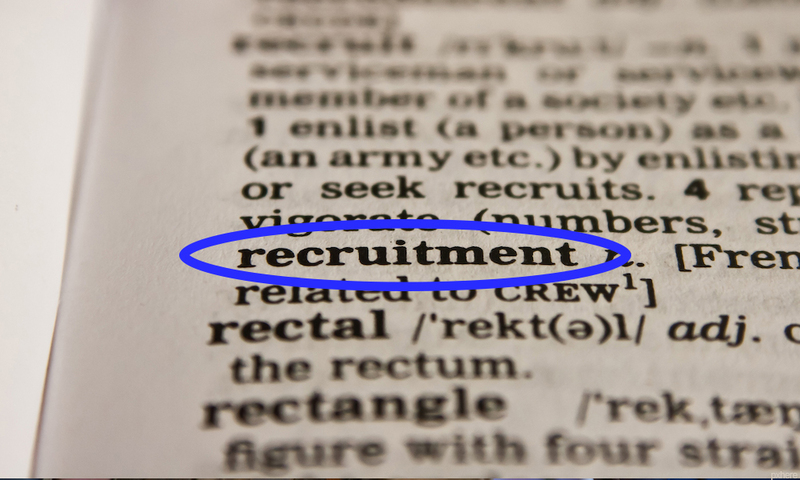 We’ve put together a thorough guide for finding and using a recruiter. First, though, we need to establish what a recruiter actually does. Recruiters are third parties that typically work with recruiting agencies. Their primary goal is to help companies find and recruit the top talent for different job openings. Some larger companies hire “in-house” recruiters who do the same thing but only for that company. However, small businesses typically don’t have the capital to have a permanent recruiter on staff. By using a third party recruiter, you can find the best recruits while paying the least amount of money. Now you know a bit about what recruiters do. That leaves another question: how do you find a recruiter? Like we said before, most recruiters work for third party recruiting agencies. Finding a recruiter is typically as simple as contacting such an agency and interviewing a recruiter to see if they meet your particular needs. You can learn more about finding recruiters on this website. In order to know whether they meet your needs or not, it’s important to ask the recruiter the right questions during the interview. One blunt question to ask the recruiter is where they rank relative to the rest of their organization. Ideally, you’ll have a recruiter who is in the top 20% (or even top 10%) of their organization. It’s also good to ask what objections recruiters face with clients and how they handle such objections. This is one of the ways you can see how the recruiter would actually conduct themselves on the job. Finally, it’s good to ask the recruiter what they can tell about you and your management style from the interview itself. The more they understand you and your style, the better they will be able to find employees who match it. Now that you know more about finding and hiring a recruiter, here are a few of the benefits of using a recruiter. Recruiters are really great when it comes to finding qualified people who also love your company and its products. And such people typically make for the very best hires. These employees will be passionate and productive because they want to take ownership of a company they love. And they will be a natural source of word-of-mouth marketing, meaning they’ll be benefiting the company long after they clock out. Finding these fans typically requires looking at more than just a job application. Fortunately, job recruiters are great at doing so. One problem that some companies run into is finding specialists. While it may be easy to find another sales expert, it can be difficult to find, say, a data analysis and logistics expert. Job recruiters understand exactly what the field of job seekers looks like. Therefore, they are in a better position to find the people with the exact skills you need. Better still, recruiters understand how different skills add up in surprising ways. They may be able to identify surprisingly good hires who don’t look like specialists on paper. But the diversity of their skills and experiences actually make them uniquely suited for the job at hand. Working remotely is the best thing and worst thing that has ever happened to small businesses. It’s the best because it gives you access to a global workforce and allows you to get productive work done outside of the “9 to 5” window. However, it’s the worst because many people who think they will be good remote workers struggle with time management and lack of supervision. For companies interested in remote workers, job recruiters are really great. They can find experienced remote workers who understand your company vision as well as the technical requirements of remote work. Still wondering “why to use a recruiter?” One of the most compelling reasons is that they understand the competition better than anyone. Ultimately, your company doesn’t just want skilled and competent workers. Instead, you want the kind of workers that will give your business the edge over the competition. This is where recruiters really shine. Because they work with other businesses in your field, they know more about what other businesses are hiring for. In this way, recruiters can help you keep your fingers on the pulse of a changing industry. Not only does this help you secure better employees, but it helps your company avoid getting left in the dust by your competitors. Have you ever stopped to think about how limited the interview process is? Most of the time, all we do is read a resume, have a single conversation, and then hire someone. We treat bad employees as something of a surprise. How could we not see that they’d be a bad fit? Simply put, we didn’t spend much time actually screening them. Job recruiters are great because they can provide additional screening of job applicants. They may monitor things like the applicant’s social media feed that your company would otherwise overlook. Accordingly, they pass over anyone with any red flags. So by the time you sit down for an interview, you’ve got the best of the best to choose from. Now you know more about how to find a recruiter. But do you know how else to make your business successful? Here at BusinessBlogs, we bring you the very best news and research from the world of business. To start growing your business today, check out our top tips for entrepreneurs! Speed recruiting: Is it the new way to hire? Take a look at your place of work. Do you see cautionary signs on the walls signalling dangerous areas? Is there a fire extinguisher in the corner? Have the kitchen appliances got regulatory testing certification stickers plastered on them? Your answer is probably yes. Our employers are legally bound to address physical hazards in the workplace, ensuring that they are safe environments for us to operate in on a daily basis. Despite all of these measures to eradicate workplace risks, there are many hazards that aren’t quite so obvious. Hazards can come in all shapes and forms: physical, biological, chemical, and ergonomic. In this article, we’re going to look at the top 5 workplace hazards you never knew existed. Air pollution may be something you associate only with congested city centres, but it’s a real threat to health and safety in the workplace. Poor air quality can lead to a barrage of health issues like occupational asthma, dermatitis, and cancer. There are several reasons why the quality of air in the workplace might become poor. From damp and mould to the use of toxic cleaners and air fresheners, the air can become clogged with harmful bacteria and irritants. Is at a comfortable temperature. Has controlled levels of humidity. Has a supply of fresh, clean outdoor air. Uses measures to control internal and external pollutants. Keep your nose tuned in for unpleasant smells – if you notice anything odd, it’s time to investigate further. How would you compare the cleanliness of your desk to the toilet seat in the communal bathroom? Your desk is clearly the cleaner of the two, right? Wrong. Recent studies have shown that the average office desk actually has a disgusting four hundred times more germs on it than a toilet seat. And you can’t even see it. 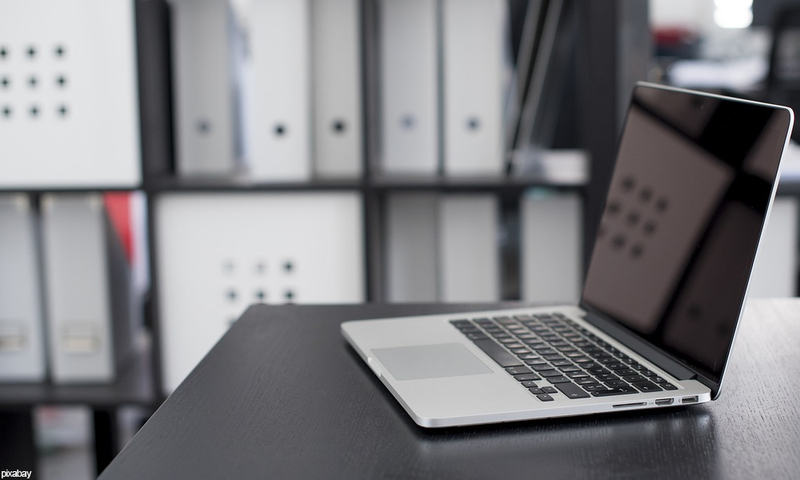 Since you regularly use your mouse and keyboard, these are the primary germ hotspots. After typing furiously away at your computer, you might decide to take a break and head to the kitchen to make a cup of tea. On your way, you touch the doorknob on the kitchen door. You touch the cutlery drawer and the spoons inside. You touch the tap to fill the kettle and you touch the kettle handle itself. You grab a mug and you touch the communal coffee container and the milk jug. All this time, you’re spreading the bacteria from your desk all around the kitchen. This bacteria can lead to outbreaks of sickness in the office. Now you’re equipped with this information, keep a bottle of hand sanitiser at your desk and make sure you thoroughly wipe it down daily! We all get that mid-afternoon slump where we’re feeling a little uncomfortable after sitting in our office chair all day. We begin to slump down. It might feel good in the moment, but long-term, it can do serious damage to our muscles. Whether you’re in an office job or carrying out manual labour, you’re at risk of ergonomic injuries. Doing repetitive tasks or doing heavy lifting and bending without adopting proper posture can severely hurt you. Basic tasks like repetitive strain from typing or clicking with a computer mouse can cause issues like carpal tunnel syndrome. You’re also at risk of straining back, arm, and leg muscles when carrying heavy items. It’s important that you are conscious of your posture and follow the correct procedures in place for manual tasks to avoid injury. When was the last time you woke up on a work morning and felt flat-out exhausted? You might think you can just muddle through the work day, but worker fatigue can actually pose a real hazard in the workplace. Operating machinery or supervising others on risky tasks when you’re not feeling your sharpest is incredibly dangerous. Your focus is diminished and you can easily miss major red flags. Working overtime or simply not getting enough sleep means that you’re at greater risk of inflicting injury or getting caught up in an accident. Make sure you and the others around you are refreshed for a day of work, and if anyone isn’t fit for the job, don’t allow them on the shop floor. The constant use of vibrating machinery, like pneumatic drills, can inflict serious injury on workers over time. There are two primary types of vibration-related injury: hand-arm and whole body. With hand-arm vibration injuries, the sharp, repetitive vibrations can impair your joints, muscles, and nerves, all the way from your hand and right up your arm. The damage can be so severe that you could lose your ability to operate in that role anymore. Whole body vibration damage is common with forklift drivers. Rather than the tool being used causing the vibration, the surface on which the forklift is being driven upon is vibrating, and these vibrations are sent right through their body. Many forklift drivers complain of lower back pain. Being conscious of the hazards vibrations can pose means you’ll be better able to manage the time you spend doing these tasks. Knowing how to identify risks in the workplace is the first step towards creating a healthier working environment. Many hazards slip under the radar but with a keen eye, business can stop making health and safety errors. 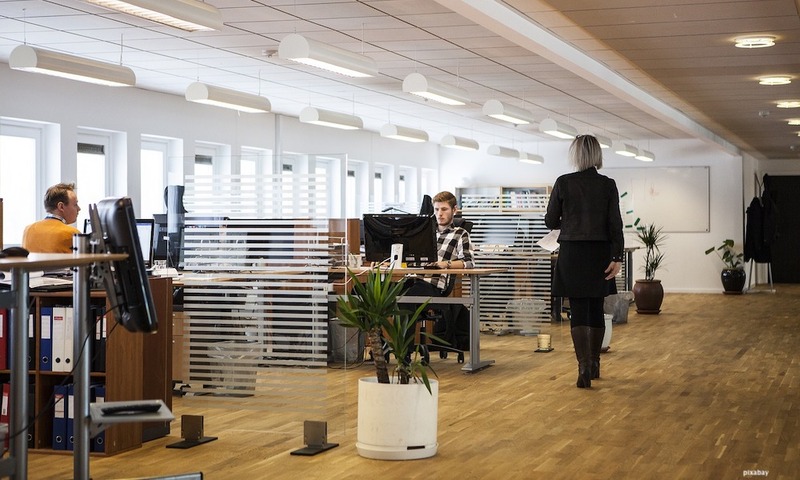 If you’re a business owner or a member of the management team, show that you take health and wellness seriously in your workplace by keeping these 5 workplace hazards seriously. There are few businesses that can avoid hitting a rough patch. Unfortunately, some of those businesses never find a way out. If your business is starting to slow down or lose money, you may think that the end is inevitable. In truth, there are things you can do to save your business. If you’re willing to put in the effort, the actions below can help you to keep your business above water. Your business is failing for a reason. Unfortunately, identifying that reason is not always easy. Take some time to look at your books and to figure out where the problem lies. Are your marketing efforts failing? Do you have problems converting visitors to customers? Is your overhead too high to support your income? Any of these issues can be solved, but you have to recognize them first. Do your homework in order to figure out where your business is coming up short and how you can work to fix those failings. Once you realize that your business is losing money, your main goal should be to stop the bleeding. Do not, however, give in to panic and shut down your monetary expenditures entirely. Instead, take the time to look at how you are spending money and determine areas in which spending can and should be reined in so that you can reduce your losses. This will not only help you in the short-term, but it will also set your business up for success in the future. You will have to make some tough choices during this process, but making use of a highly useful resource to straighten out your finances is often a good idea. Some of the choices you’ll make at this point will be painful and may only need to last for a brief period of time, but try to make sure that you’re willing to do what’s necessary. Once you slow down your losses, you’ll have more time to stop and determine how to turn things around. Once you’ve stemmed your losses, you need to refocus on making your business succeed. For many, this means stopping to figure out the core competencies of your business and how you can leverage them in order to turn a greater profit. In short, you need to figure out what you’re good at so that you can make more money. To go about this process, you’ll need to take a hard look at your numbers and figure out what’s been working. If you have areas of your business that are consistent money-losers, it’s time to cut them free. If you have certain services or products that are consistent sellers, you may need to double down. The more focus you can put on the things that you do well, the more of a chance you’ll have to differentiate your business from all of those around you. Remember, your goal is to come out of this process with a functional business. In most cases, this means creating a company that will not just weather the current storm but that can stand up to the challenges of the future. If you can figure out how to build on your strengths, you’ll be able to avoid falling back into danger. Your final step should be to take a look not just at what your business does, but how it runs. Many businesses suffer from endemic organizational issues that cause failure to happen when success seems to be assured. It is time for you to take a step back as a business owner and determine if your business is being run in a way that’s sustainable for your long-term fiscal health. It can be helpful to have a third party come in and look at how your business is run with fresh eyes. While this is an added expense, it’s one that is often worth paying. Whether you choose an outside view or not, the goal should be to ensure that your methods of administration aren’t at the root of your business’ failure. While not every business can be saved, many really are more salvageable than they appear. Take the time to learn what’s gone wrong and then to implement strategies that turn things around. The process of saving a failing business can be time-consuming, frustrating and often heart-breaking, but it’s ultimately worthwhile when the business into which you’ve put your heart and soul finally starts to thrive. Medical coding specialists are in high demand these days. In fact, the field is expected to grow by 13 percent by the year 2026! The field is growing because healthcare needs are increasing. With this increase, there’s a good chance you may need to hire an extra medical coding specialist. 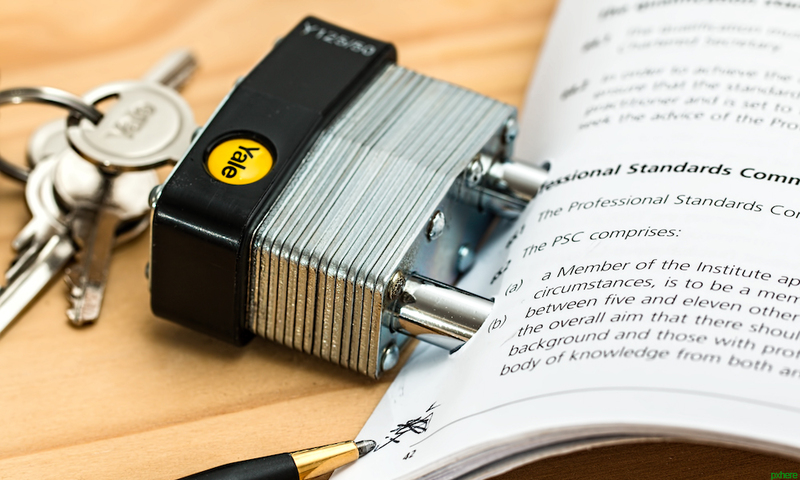 You’ll need them to make sure your practice keeps all its documentation accurate and up-to-date. But wait! What if you didn’t have to hire and train a new employee? What if you could provide medical coding training to your current employees? Read on to learn more about the benefits of medical coding training for your employees and how it can help you run your practice in a more efficient way. If you only have one person working at your office who’s in charge of medical coding and billing and they’re stretched way too thin, there’s a good chance that things are going to start slipping through the cracks. You absolutely cannot afford for this to happen if you want to avoid lawsuits and malpractice claims and maintain your practice’s stellar reputation. If you have extra hands on deck to handle the daily coding and billing demands, it’ll be easier for your specialists to avoid mistakes and make sure all your information stays organized and updated. 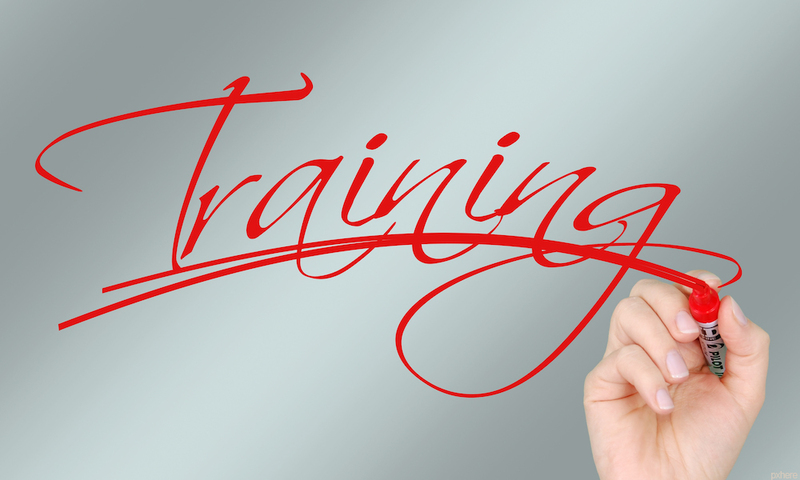 Initially, the idea of paying for extra training for your employees might not seem like a great way to save money. In reality, though, if you invest in your employees now, you can save a lot of money later on. It costs way more money to hire and train a new employee than it does to keep a current employee and provide them with the resources they need to take on more responsibilities. When you cross-train your current employees so they can handle coding and billing issues, you avoid the need to find the funds for another salary and benefits package. Hiring and training a new employee isn’t just expensive. It’s also stressful. We’ve all experienced the sense of chaos that seems to arise whenever someone new joins the office staff. It can’t be helped in a lot of cases. It simply takes new employees a while to learn the ropes and figure out how the office works. When you cross-train employees, though, you get to avoid this awkward phase. They already know about day-to-day office operations and how you like things handled. They won’t have a million questions or need time to adjust to the new workplace. Let’s say you only have one medical coding and billing specialist on your staff. What happens if they get sick, or need to take time off for a vacation or maternity leave? You could hire someone from a temp agency to fill their place. As you know, though, that can get expensive, and it results in the awkward adjustment period mentioned above. Instead of having to deal with bringing in a temp to fill your coding specialist’s shoes, what if you had another employee who could jump in and take over while they’re away? Cross-training keeps your office running smoothly and prevents absences from throwing off everyone’s groove. When you cross-train your employees and teach them how to do another person’s job, they develop a new level of respect for that person and are more willing to work together in the future. If you want your employees to collaborate more, cross-training is a great option to consider. Now, obviously, cross-training has its limits — you don’t want your nurses handling coding and billing or your coders filling in as nurses. For positions that need roughly the same skill level, though, there are a lot of benefits that come from giving people the opportunity to learn what their coworkers do on a daily basis. Finally, cross-training in medical coding and billing can be used as a tool to help keep your employees motivated. Perhaps you can offer to cross-train as a reward to employees who are performing well and are looking for more responsibility. Knowing that they have the opportunity to move up in the company can keep your employees focused and ensure they’re putting their best foot forward each day. If your medical coding specialist knows that other people are being trained to help with their job, they may also be more motivated to do their best work and continue to improve their skills. To reap all the benefits of providing your employees with medical coding training, you need to make sure they’re well-trained. In most cases, this means investing in a medical coding course. It’s not ideal to saddle your one or two current coding specialists with the task of training your other employees — they’ve got jobs to do, after all. If you’re trying to choose a particular training program for your employees, be sure to look carefully at the details of each option before you make a decision. There are lots of different programs out there, and they’re not all created equal. Make sure you choose a program that covers the programs that your office already uses. Look for one with a low weekly time commitment, too, so your employees don’t feel overburdened by extra demands. It’s best if you can find an accredited program that is recognized by a professional association. The American Academy of Professional Coders and the American Health Information Management Association are both trusted organizations. As you can see, there are lots of benefits that come with investing in medical coding training for your employees. Now that you know how to go about helping them get this certification, is it something you’re interested in for your practice? Would you like to learn about other ways to improve efficiency and manage your practice better? If so, we’ve got a variety of helpful articles available for you. Check out the Management section of our site today. You’ll find articles here on improving morale, handling employee mental health issues in an appropriate way, and much more!